Zahra-Aliyah Baig AS Media: Question 3: What kind of media institution might distribute your media product and why? Question 3: What kind of media institution might distribute your media product and why? 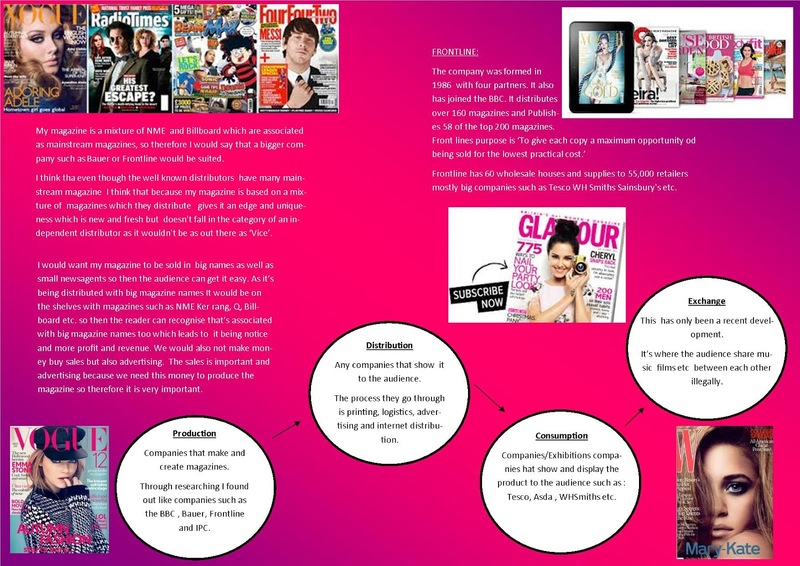 Taking it all into consideration I think my magazine would best suited to a institution such as Front line because my magazine is a mixture of different mainstream magazine so therefore its different by still following the 'mainstream' trend.